In 2008, Mama Tuki Wright had a vision. It was to form an organisation in the Cook Islands to represent women and girls with a disability. A decade later, the organisation is a reality and has just launched its Strategic Plan 2018-22. Inclusive economic development and decent work. 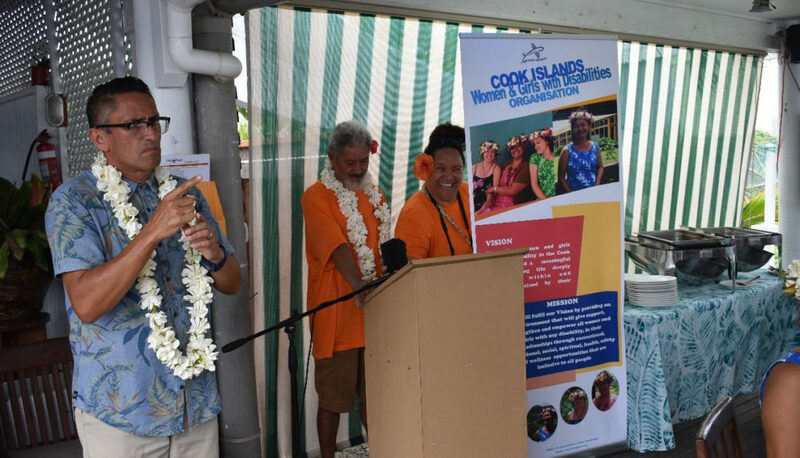 Ms Takingaiva Eitiare Framhein, Board member of Cook Islands National Disability Council, said that the days of being locked away are gone. Mr Mataiti Mataiti, President of Cook Islands National Disability Council, said he hoped development in the Cook Islands will reflect the sustainable development goals of leaving no one behind. The launch of the Plan was widely attended by people with disabilities, members of the National Disability Council, other civil society organisations and two members of parliament, Ms Rose Toki-Brown and Ms Tetangi Matapo.